Rummikub is a tile-based game designed to be played by 2-4 players. Rummikub was designed by Ephraim Hertzano in 1940, and went on to become the best selling game in its country of origin, Israel. In the 1970s, Rummikub then went on to become a household name in the United States. Rummikub can be played with 2-4 players, and all you need is a boxed set of Rummikub tiles to play. In the box, you get a total of 104 tiles, and 4 racks. The racks are used to ensure that other players won’t be able to see your tiles. The Rummikub instructions are provided below. There are a total of 104 tiles in Rummikub. These pieces are differentiated based on their color and number. There are a total of 4 colors, which are blue, red, orange and black. Each color has 2 tiles of each number, and the numbers range from 1 to 13. This makes up 102 of the pieces in Rummikub. The last 2 pieces are the wild tiles, also known as the Joker tiles. These tiles come in red and black variants, but they are both identical in terms of function. These tiles can be used to substitute any other tile in the combinations used in game-play. Rummikub is a game about making sets using the number tiles. Sets include runs and groups. Each set must be at least 3 tiles in length to be valid. Runs are sequences of tiles of the same colour, in an increasing number order. Note that wrapping over is not allowed, so a 1 cannot follow a 13. An example of a valid run made using red tiles is shown below. Groups are combinations of the same number with different colors. Note that since there are only 4 colors in the game, each group must consist of at least 3 tiles, and 4 tiles at the maximum. An example of a full group of four is shown below. Invalid combinations are shown below. There are specific methods of manipulating sets that will be discussed in the related section. To begin the game, all tiles are placed face-down and shuffled. Each player then draws 1 tile to determine the turn order. The player drawing the highest number tile will go first. Each player then draws 14 tiles, placing them on their respective racks such that other players cannot see them. The game then begins. The remaining tiles form the draw pile. Each player is not allowed to do tile manipulations until they make their first move. The first move is to play out a valid set (or sets) of tiles that exceed a value of at least 30 points. Before playing out this move, players cannot utilize the tiles already played by other players in their plays. Note that you can play multiple sets in one turn if they are available. If players are unable to play their first move, they draw 1 tile from the draw pile and pass their turn. This repeats until the player is able to play out their first move. The main game-play of Rummikub begins once players make their first move. The basics are to make sets, as described above. Once the first move is made, the rest of the sets are not subject to the minimum of 30 points. For example, a set of 3–3–3 (9 points) is valid after the first move. Apart from making sets, players can make manipulations on the existing sets. There are a few manipulations that are allowed under the rules of Rummikub. These are discussed in detail in the Example Plays section of the guide. The goal of the game is to win rounds by clearing all tiles from hand. If the round ends with all tiles being drawn from the draw pile, and no more valid plays are possible from every player, the player having the least amount of remaining tiles will be considered the winner. The winner calls “Rummikub” when they use all their tiles. The original Rummikub rules still exist in the modern iteration. Jokers that are played can be used as a substitute for any in any set. Once a Joker is played, it cannot be taken back into hand. Players can, however, substitute the Joker tiles to use them in other manipulations. For example, if there is a group of 7–7–7–J, a player that has the black 7 tile can substitute the Red Joker in the run, and use it in any valid sets or manipulations. Jokers that are substituted or liberated must be used on that turn, and cannot be returned to hand. Since manipulations can result in elaborate multi-step moves that could result in an unrecoverable board state, players can invoke the error rule to penalize the player if all other players agree. The penalty for ‘ruining’ the board is to draw 3 tiles, and the board must be returned to the original state. All tiles are placed face-down and shuffled. Each player draws 14 tiles. Players play the initial move consisting of tiles with a value of 30 points or more. Players draw tiles if they are unable to make a move. Play continues with each player making manipulations and playing at least one tile a turn. If no plays are available, a player must draw 1 tile from the draw pile and pass their turn. Play continues until a player clears all tiles from their hand. If no more tiles are in the draw pile, and no valid plays are possible, the player with the lowest number of remaining tiles wins the round. Rummikub scoring is based around the hands of the losing players. Each tile is worth a point value identical to its face value. For example, the 2, 2, 2 and 2 tiles are all worth 2 points each. Joker tiles in hand are worth 30 points each. In this case, Player 2 has a sum of 16 points, and Player 3 has a sum of 37 points (Jokers are worth 30 points). Hence, when Player 1 ends the round as the winner, he/she is awarded the sum of all points, hence getting 53 points. Player 2 and 3 get the points deducted from their point total, getting -16 points and -37 points respectively. At the end, the player reaching the desired point total wins the game. Making manipulations in Rummikub is how to score. The possible manipulations and plays in Rummikub are explained below. Note that you can do combinations of two or more combinations per turn, and there is no limit to the number of tiles and manipulations you can make each turn. The most basic manipulation is adding tiles to existing sets. For example, one can amend a tile (or tiles) to existing sets. For example, if a run of 3–4–5–6–7–8 exists on the board, and a player has the 2 and 9 tiles. They can add the tiles to the run, making a run of 2–3–4–5–6–7–8–9. The same principle can be used in groups. If a group of a certain color exists with a length of 3, such as 8–8–8, a player can add a black 8 tile to make a group of 8-8–8–8. Long runs can be split into 2 or more runs, provided each of the runs are at least 3 tiles in length. For example, given the run 2–3–4–5–6–7, and given a player has a blue 4 tile, the run can be split into the runs 2–3–4 and 4–5–6–7. Note that players can also extend the split runs on their same turn. Players can replace tiles in groups by any valid replacements. For example, if there is a group of fives, 5-5–5, and a run of 2–3–4, if a player has a red 5 tile, they can substitute the yellow 5 tile in the group, and use it in the run. This results in the following sets: 5-5–5, 2–3–4–5. Rummikub strategy is about visualizing plays. As the game goes on, more possible moves are possible, so look through your possibilities possible. Do not hesitate to draw even if you can make plays. Play out Jokers. Keeping them in hand will result in a penalty at the end of the game. Be aware of all possible manipulations, good players are masters at splitting. Can I play Rummikub Online? Rummikub online can be played on simulators, and some even allow for multiplayer play. 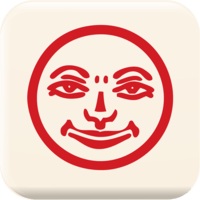 What are the best Rummikub apps? The best Rummikub app is the official Rummikub app available on Android and iOS. How many tiles do you start with? You begin each round of Rummikub with 14 tiles. Rummikub is pronounced as “Rummy-cube”, though some also use the pronunciations “Rummy Q” and “Rummy Que” in Israel, the country of origin. Are there variations on the game? The three main variations of Rummikub are American Rummikub, Sabra Rummikub and International Rummikub which takes influence from classic Mahjong rules.